This assortment of necklaces contains a dozen german silver inlaid stone pendants. Each pendant comes with an 18" to 20" chain. Picture shown is representative. 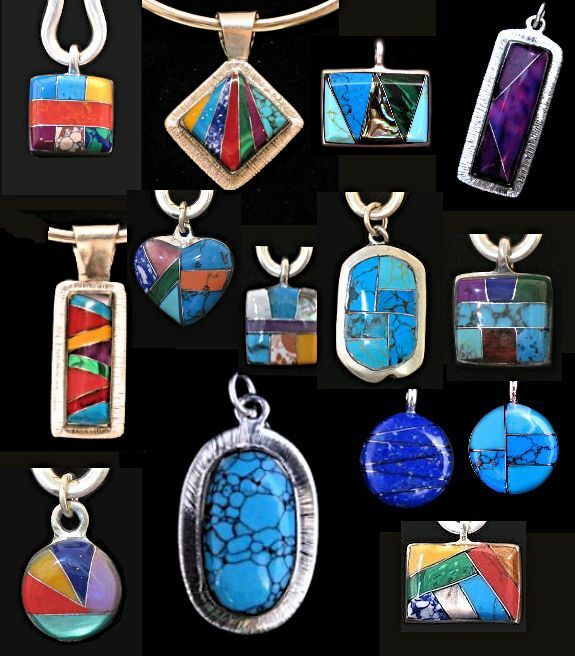 The exact assortment you receive may vary, since many pendants are one-of-a-kind, but it will contain a similar amount of big and small pendants. Pulled at random.